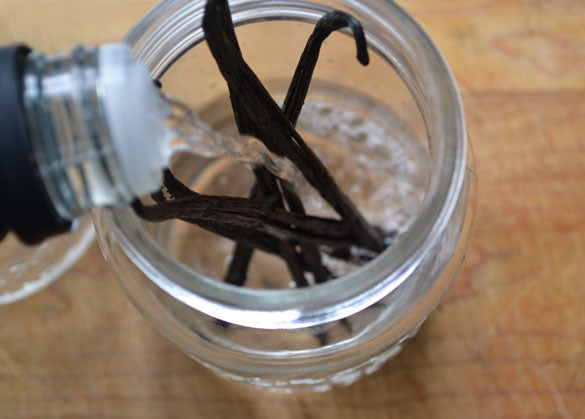 1Cut each vanilla bean open with the tip of a sharp knife; scrape out the seeds into a jar. Add the vanilla bean to the jar (or jars) as well. 2If you like, gently warm the vodka or bourbon in a saucepan set over medium heat. Pour over the vanilla beans, seal and store for a week to a month, shaking now and then. The flavour will intensify and the colour will darken the longer it's stored. Makes as much as you want to.